Unique high security nut (patented product). 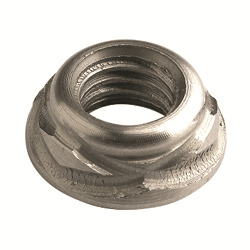 Due to its rounded design, this nut is almost impossible to remove without the matching socket. Manufactured in 304 stainless steel other materials available by special order. Suitable for medium to high torque applications.